Journey back to your ’80s prom night during the time of big permed hair, loud fashion, giant bows, skinny ties, boom boxes, cassette tapes, roller skates and big puffy prom dresses! Wear your ’80s prom fashion if you’d like and be part of the radical party as the band, made up of some of your “classmates,” play your favorite hits from ’82-’84! 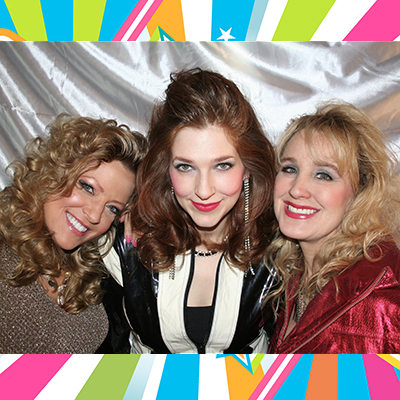 Three dynamic female vocalists, plus incredible male vocalists along with a band of the Twin Cities’ finest will cover songs by Tina Turner, Bruce Springsteen, The Police, Donna Summer, Joan Jett, Huey Lewis, David Bowie, Billy Idol, Michael Jackson, Prince, Journey, Hall & Oates, Bonnie Tyler, The Go-Go’s, Cyndi Lauper, The J. Geils Band and many more! Sing and party along as we re-live prom night 1984! Performed by the same group of top musicians and singers that brought you the very popular River – The Music of Carole King, Joni Mitchell & Carly Simon. “Totally awesome!” All-new, just for you!